This beautiful Amish Grand River Hutch and Buffet is inspired by the Mission Arts and Crafts movement. Shown in beautiful cherry wood but also available in many other hardwood and finish options. 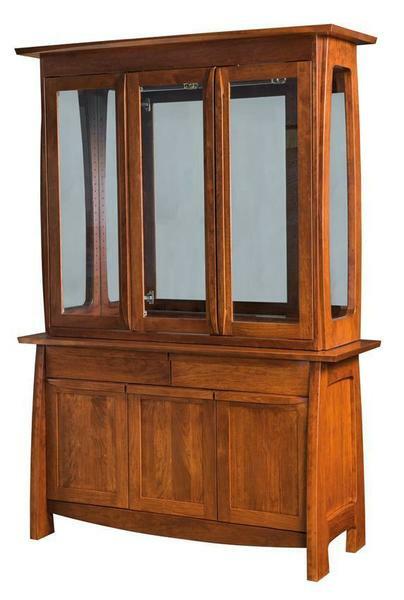 The sweeping lines of this Mission hutch will make a statement in your dining room. Complete the set with our Grand River Dining Chairs, solid top table or extension table.